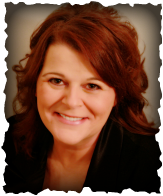 Jillaine Marie is a Salina, Kansas based Psychic Medium & Intuitive who offers readings that provide warm and compassionate clarity and evidence from your loved ones and friends who are with us in spirit. Her abilities include Clairvoyance, Clairaudience, and Intuitive Channeling. Her readings provide direct communication from the spirit realm offering messages of guidance and support. She can actually 'see' and 'hear' Spirit describing physical features, memories, life events, scenes of the past-present-future that is shown to her during your session. Her readings are highly accurate both in person and by phone or Skype. Her clients are from all over the United States. Lead times are from 1 to 3 weeks so schedule your appointment as soon as possible whether driving to Salina or by Phone or Skype. ​Each reading is filled with factual information like personality traits, interests, physical description, and actual memories and events from your life and the life of your departed loved ones. These are clear and concise messages about your past, present and visions of what is to come for your future. It is this 'Proof of Life' that offers undeniable evidence of life after death and the validation you need to begin to heal. Our departed family, friends, loved ones and Guardian Angels are still very much a part of our daily lives and are eager to assist you with your own journey here. Her advice and encouragement has helped hundreds of clients to become unburdened and happy once again. Jillaine’s progression of her intuitive and spiritual career has grown over the years. The loss of her father at a young age coupled with her Catholic upbringing formed strong bonds with the power of prayer and the influence it has in our lives. Spiritual and intuitive prowess ran on her mother’s side of the family. Notably her own experiences with spirit at a young age, along with decades of paranormal experiences, formed the basis of Jillaine’s interest to help others. Her encouragement to begin meditation allowed her to develop her own gifts of seeing Spirit once again and interpreting messages. She offers hope, comfort and compassion to clients who are grieving and may be a little nervous or apprehensive about getting a reading. Click above to be redirected to my Facebook page. Click LIKE and receive inspirational messages and updates from me! ​People come from all over Kansas for readings with Jillaine Marie and both Skype and Phone readings are done all over the United States with the same detailed accuracy. answers your questions about your future. * Mediumship Readings provide you with loving and kind messages from your loved ones and friends in spirit. following the loss of your family members and friends. * Life Coaching facilitates with advice on your health, relationships, career, and future to help free you to live a fuller life. * Reiki Energy Hands On Attunement with Crystal FAR Infrared Biomat Healing uses universal life energy of “light touch” to flow into your body. It assists with energy blocks, negativity removal, facilitation of your body’s own natural healing, and balancing all the major chakra centers. 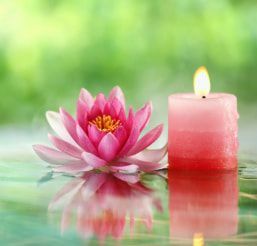 Reiki is essential for restoring and maintaining health and positive wellness. * Psychic Development Sessions are intended for the Beginner, Intermediate or Expert Levels. You will learn to tune into your own psychic senses. This can be used to begin your own business or healing career. Or for personal spiritual strengthening of your life. You will start understanding the principles of energy, how it affects you and techniques to help you sustain harmony. Some clients choose this to begin sensativity training to allow them to better understand the metaphysical world & to control their energy intake. * Animal communication to connect to your beautiful fur-baby in the Afterlife. Yes, animals have souls & want to connect with you too. * Remote Viewing for negative, residual or energy release from your home & learning the proper tools for allowing a stable, peaceful environment for you and your family. * Seminars & Training are offered monthly on a variety of topics promoting your own wellbeing, spiritual growth and development. See my Services page for more information or Facebook. Want to see more inspirational posts? Click on Jillaine Marie Psychic Medium below or on Facebook and LIKE my page!! This website and its content are copyright of www.JillaineMarie.com. All rights reserved. Jillaine Marie is a Salina, Kansas based Psychic Medium & Intuitive who offers readings that provide warm and compassionate clarity and evidence from your loved ones and friends who are with us in spirit Her readings provide direct communication from the spirit realm offering messages of guidance and support showing evidential information only you could know. Client readings are performed in person in her home in the heart of Central Kansas located in Salina. Quarterly readings are also provided by Jillaine at a specific location (or in your home) in Western Kansas in Hays; in Northeast Kansas in Lawrence; and in South Central Kansas in Hutchinson.